In the summer of 2001, twelve year old Fadi's parents make the difficult decision to illegally leave Afghanistan and move the family to the United States. When their underground transport arrives at the rendezvous point, chaos ensues, and Fadi is left dragging his younger sister Mariam through the crush of people. But Mariam accidentally lets go of his hand and becomes lost in the crowd, just as Fadi is snatched up into the truck. With Taliban soldiers closing in, the truck speeds away, leaving Mariam behind. Adjusting to life in the United States isn't easy for Fadi's family and as the events of September 11th unfold the prospects of locating Mariam in a war torn Afghanistan seem slim. When a photography competition with a grand prize trip to India is announced, Fadi sees his chance to return to Afghanistan and find his sister. But can one photo really bring Mariam home? Based in part on the Ms. Senzai's husband's own experience fleeing his home in Soviet controlled Afghanistan in the 1970s, Shooting Kabul is a powerful story of hope, love, and perseverance. 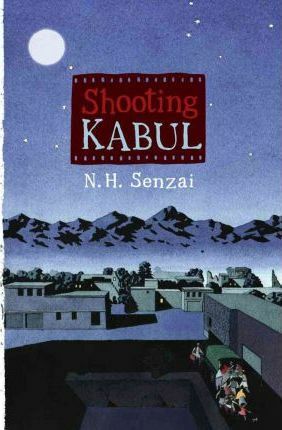 N.H. Senzai is the author of Shooting Kabul, which was critically acclaimed and on numerous award lists. Publishers Weekly called it "hard hitting, emotionally wrenching." Her second book, Saving Kabul Corner, was nominated for an Edgar Award. She is also the author of Ticket to India and Escape from Aleppo. Ms. Senzai lives in the San Francisco Bay Area with her family. Visit her online at NHSenzai.com.